Home » Cybersecurity » Cloud Security » Is Azure® Active Directory® an Outsourced Directory? 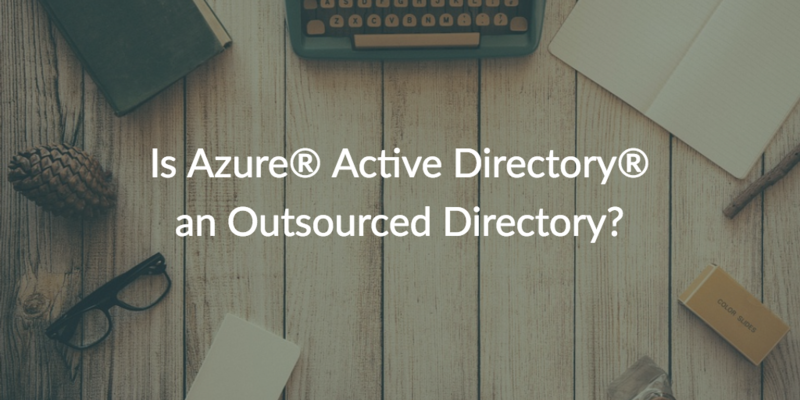 Is Azure® Active Directory® an Outsourced Directory? As Microsoft® makes a big push with Azure®, we often hear IT admins ask, “Is Azure Active Directory® an outsourced directory?” In other words, can Azure AD replace its on-prem counterpart, Active Directory? These questions are good ones considering that IT organizations are interested in making the leap to the cloud. However, the short answer is no. An outsourced Azure Active Directory is not a replacement for the on-prem Active Directory platform. Let’s expand upon this a little further. The truth is, Azure AD is really a user management system for Azure and a first generation IDaaS platform (i.e. web application single sign-on solution). Due to this limited scope, Azure AD is really meant to work in conjunction with the on-prem Active Directory platform. So, IT organizations are able to utilize the cloud (especially Microsoft’s cloud), but they still have one foot chained to their on-prem Active Directory infrastructure. 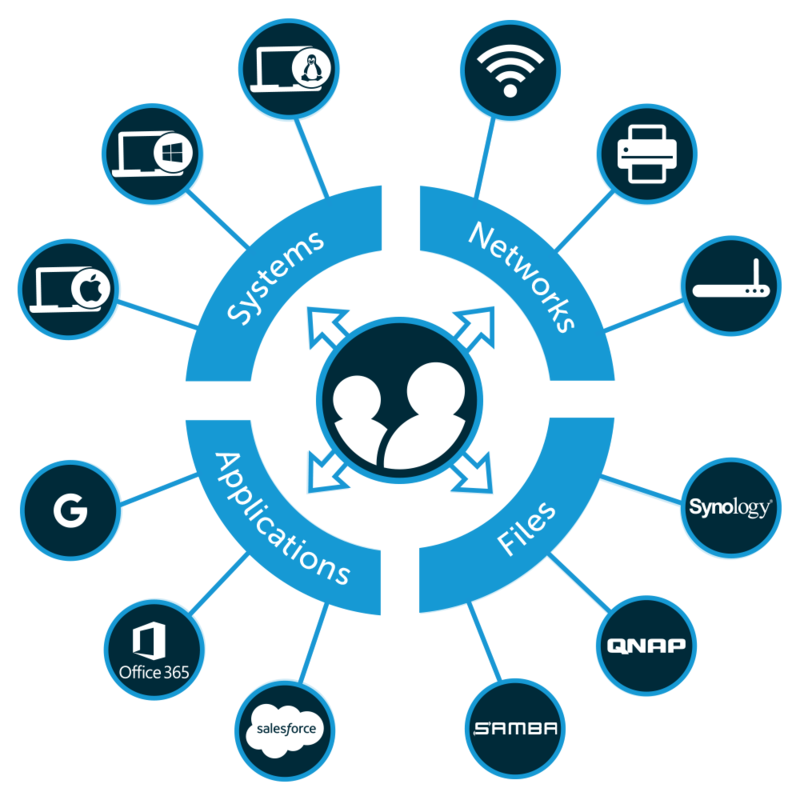 They are also stuck leveraging a Windows-centric environment because both of these Microsoft identity management solutions work best with Windows systems, applications, and file storage. However, the IT landscape has evolved significantly. It’s changed so much that IT organizations have some very big decisions to make regarding their IT environment strategy. Many of those decisions center around whether or not they will lock themselves into Microsoft platforms over the next decade or not. Because these days, Microsoft solutions aren’t the only solid option. There is cloud infrastructure from AWS®, productivity platforms from Google (G Suite™, formerly Google Apps), and systems from Mac® and Linux®. These non-Microsoft IT resources are challenging for AD and Azure AD to manage, so IT organizations shouldn’t look to an outsourced Azure Active Directory solution to solve their identity management struggles. Instead, they should consider a cloud identity management platform called JumpCloud® Directory-as-a-Service®. As a neutral IAM solution, JumpCloud Directory-as-a-Service securely manages and connects user identities to the IT resources they need regardless of platform, protocol, provider, and location.